Staten Island or Coney Island: What’s the Better Beach Getaway? 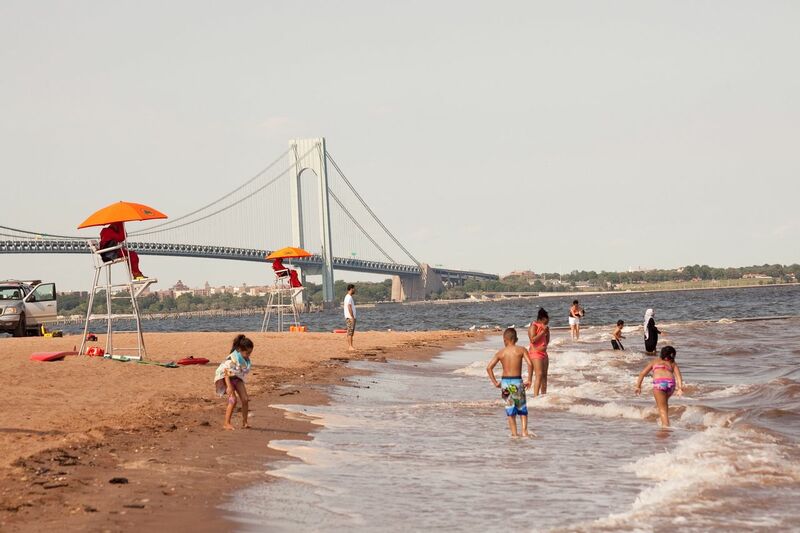 The Staten Island beaches — like South Beach, pictured here — have an undersung excellence. Where’s better to enjoy a baseball-and-beach mini-vacation: Staten Island or Coney Island? Comparing two spontaneous, overlooked, and excellent weekend-getaway trips that you can do with a Zipcar rental and a camping tent. Much of Staten Island’s eastern coast was, of course, slammed by Hurricane Sandy. But the island has since recovered and is even working to prep its beaches for a future disaster. Lynda Ricciardone, the Staten Island Parks borough commissioner, broke down the beaches’ personalities and features for us. South Beach: If Staten has a beach-with-a-capital-B, it’s this one, probably the most crowded, and the one that many Staten Island kids grew up going to. (As did their parents and grandparents: In the ’50s, it was a bungalow-filled beach colony.) It’s the best beach for Instagrammable shots of the Verrazano-Narrows Bridge, and there’s a boardwalk with a bike path that overlooks the water — the promenade length from South to Midland Beach is 2.1 miles. You can rent a bike ($12 per hour) at Wheel Fun Rentals, which also offers umbrellas and chairs for $8 a day. “We get a lot of folks who don’t want to go to the crowded beaches in Brooklyn,” says Ricciardone, so there’s often lots of day-trippers sunbathing and mingling with locals. If you’re here on Wednesday, come by for fireworks and other entertainment starting at dusk. Midland Beach: Seaview Avenue, near Father Capodanno Boulevard, is the divider between Midland and South Beach, and that’s near where you’ll find the Ocean Breeze fishing pier (for fishing tips, check out our guide to urban angling). At both beaches, there are recreation areas — bocce, horseshoes, volleyball — but Midland distinguishes itself with more parking. Of course, there’s the Sea Turtle Fountain, a water feature popular with kids, and at the south end of Midland is a barbecuing area. (You need to get a permit for groups of 20 or more, though that doesn’t mean you have a reserved space — send someone early to stake your claim.) Back to the Beach — a festival with concerts, vendors, fireworks, and the like — is at Midland Beach and will be held July 22 and 23 this year. Cedar Grove and Great Kills Park: Unlike at South Beach, as you move farther south, you’ll need to come prepared with food, beverages, bikes, and beach umbrellas, says Ricciardone. Cedar Grove (which was made public in 2011 and had been one of the last beach colonies in New York) is a local-frequented beach: Ricciardone notes that it’s not off a main thoroughfare and has only a small parking lot and a couple of lifeguard chairs. Still, she says, “it’s a beautiful beach — it’s bucolic, the sand is beautiful. It’s a really nice getaway. But whatever you’re doing, you’re bringing in for the day” — so come with your cooler packed and umbrellas ready. “We have a comfort-station trailer there,” she adds, “but you’re not going there and riding your bike. If you’re looking to go by yourself and grab a book and sit out on a beach,” it’s perfect. Wolfe’s Pond: This relaxed park and beach area is on the South Shore — at Cornelia and Hylan Boulevard — so it’s less crowded with down-for-the-day beach fiends, but there are barbecue and playground areas, an adult exercise area, an outdoor hockey rink, a dog run, and plenty of parking. It’s a small beach, Ricciardone acknowledges (but one with a fascinating history). “People might go to barbecue, and the beach is part of that experience. It’s probably rare that people go just for the beach, but it has beautiful views,” she says. P.S. : A few miles south of here, Kayak Staten Island provides free kayaking trips on Sundays.